Emery, located in and around Weston Road and Finch Avenue in North York, is one of these neighbourhoods that exemplifies Toronto’s new urban demographic. The area has become popular because it is very convenient — located near highways and schools, very lush — located near a major park and river and with all of the great amenities and infrastructure accessible to this neighbourhood, it’s still very affordable. The Emery neighbourhood is located in North York sharing a border with beautiful Etobicoke on its west side. The south and west ends of Emery are gorgeous as trees and forest growth sprout up from the Humber River Valley up into the adjacent neighbourhood. The north and east ends of the neighbourhood are industrial, around Toryork Drive in the north and Arrow Road in the east providing ample services as well as job opportunities close by. The basic quadrant of Emery includes Finch Avenue to the north, Weston Road to the east, Sheppard Avenue extension to the south and the Humber River to the west. One of Toronto’s largest parks, Rowntree Mills contains a variety of landscape features and is located in the heart of this neighbourhood. 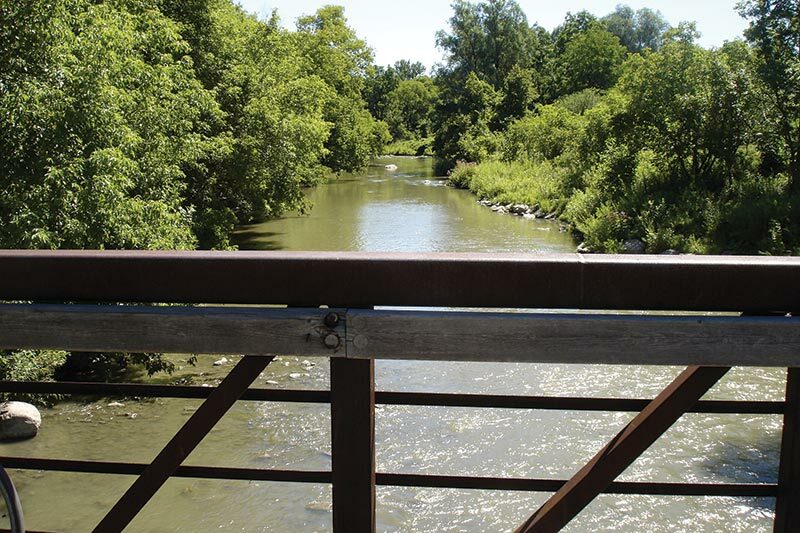 The park connects to the Humber River, and Emery residents take full advantage of it. The Emery area has many amenities to take advantage of, including a wide variety of multicultural offerings. Stores in and around Weston and Finch cater to different ethnicities including a variety of Middle Eastern, East Indian, Caribbean and Latin American specialty shops and restaurants. There are also an abundant number of shopping plazas on Finch Avenue between Weston and Islington, everything from furniture stores to finance centres. Finchdale Plaza is the biggest featuring a pharmacy, a specialty supermarket, coffee shop, bakery and several banks. Two community centres in the area provide a diverse array of programs for both adults and children. Doorsteps Neighbourhood Services provides ESL classes both in the morning and afternoon at the Gord & Irene Risk Community Centre at Islington and Finch. At 25 Daystrom Drive many different classes are offered that focus on multiculturalism, early parenting, senior’s programming and exercise programs. The Humber-Sheppard Community Centre, located on Weston Road caters to youth with summer camps, city-funded arts programs, gym privileges and athletic programs. Anyone looking for value and access for their rental dollar should check out Emery in the Weston and Finch area because it represents affordable living. Spacious family-sized apartments as well as tidy spots for singles are both available. With various TTC routes passing through this intersection frequently, highway 400 just to the east and highway 401 just to the south, Weston and Finch can really be a convenient and affordable location within the city.